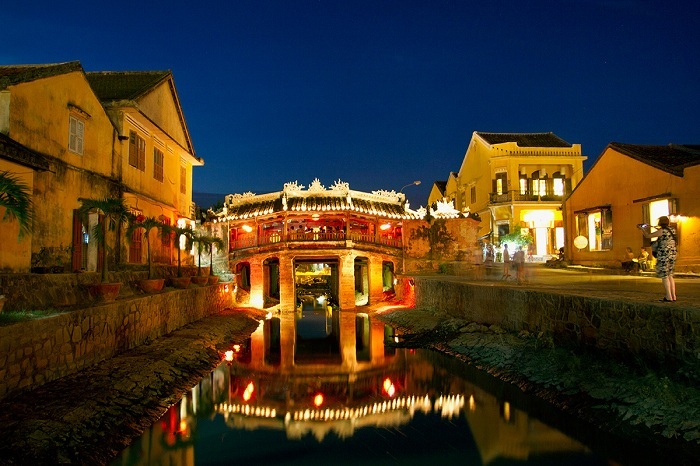 If one day, you visit Hoi An and do not know what to do, please refer these suggestions. 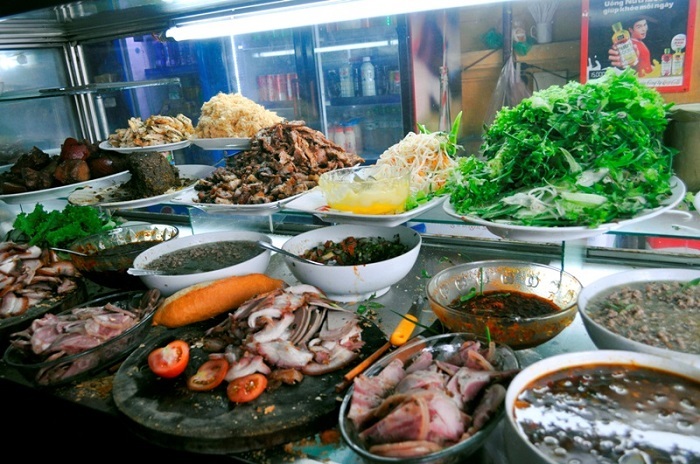 We will list very detailedly top 6 Hoi An must do things for your first travel in this ancient town. 2.Explore the Cham Island Tour. Walking Underwater service is a form of entertainment which helps tourists enjoy great moment, new experiences together with sightseeing the seabed with hundred species of coral and aquatic animals. Wearing Sea-Trek helmet, tourists can experience the feeling of walking undersea which has depth of 5-6 meters. Snorkeling activity include this tour our you can join Snorkeling tour only. Walking underwater tour is one of the top things to do in Hoi An. Hoi An is surrounded by lush, green countryside. It would be a shame not to venture out of the city during your stay. Numerous cycling and trekking tours are on offer in Hoi An, which take participants out to rice paddies, hills, Tra Que villages, and pristine beaches. More adventurous travelers can rent a bicycle and try a day trip out of the city. The carpentry village of Kim Bong belongs to the Cam Kim commune, just on the other side of Hoi An river. Take a boat trip on Thu Bon River to visit Thanh Ha & Kim Bong handicraft Villages. It is very convenient for tourists to visit and collect souvenirs. With the reputation of Kim Bong carpentry, there were many carpenters organized by the King of the Nguyen dynasty in order to build Hue capital. Among them were awarded the nine and eight grades of mandarin positions, chief wooden statue positions etc. You can see more Hoi An countryside in Handicraft Village tour. This beautiful little bridge is emblematic of Hoi An. The people builted this bridge in the 1590s by the Japanese community to link them with the Chinese quarters. Over the centuries the ornamentation has remained relatively faithful to the original Japanese design. The bridge is due for a complete removal for repair, so check it’s open before you travel. While wandering around, you can see this bridge and take some photos with this ancient one. Phuong bread is ​​no stranger to any food lovers, even those who have never had a chance to taste it. Even Cameron Stauch- Canadian cook Cameron, who used to cook for Canada’s president, had to give praise to this bread. That is enough to explain why a small bakery in Hoi An is so popular for all of the tourists in over the world. 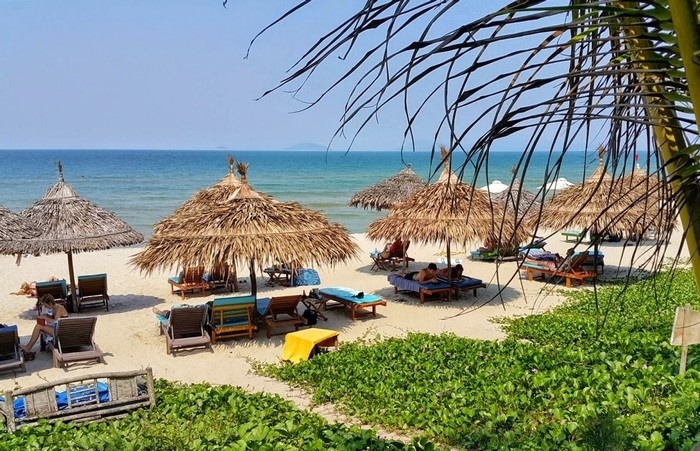 The menu has a lot of kinds, from typical Chinese sausages to the sausages of Western-style such as ham, pate and sausages, cheese, mayonnaise,..
One of the best things to do near Hoi An is going to An Bang – a quiet paradise – one of the 50 most beautiful and pristine beaches in the world. How to go to An Bang beach? You can catch a car or a taxi from Da Nang to Hoi An. If you can drive, you can rent a bike and enjoy your trip with new experiences. An Bang beach is about 4km length with a very natural landscape and vegetation is also diverse. The beach is like the gentleman. You can lay on a couch, close your eyes and enjoy the gentle sound of waves, sea breeze.A highlight of An Bang beach is the white smooth sand. The beachfront loungers can make the visitors more relaxing. Most of time, the beach is a little bit noisy. Foreigners are just sit quietly enjoying the fresh sea air, reading, listening to music in a very polite way. Although the beach is quite wild but the service here is very good. Restaurants more and more rise up. You can easily enjoy the fresh seafood in the extremely rich menu. Each restaurant has a different layout, but the main materials used are coconut leaves and bamboo which create a very harmonious taste. 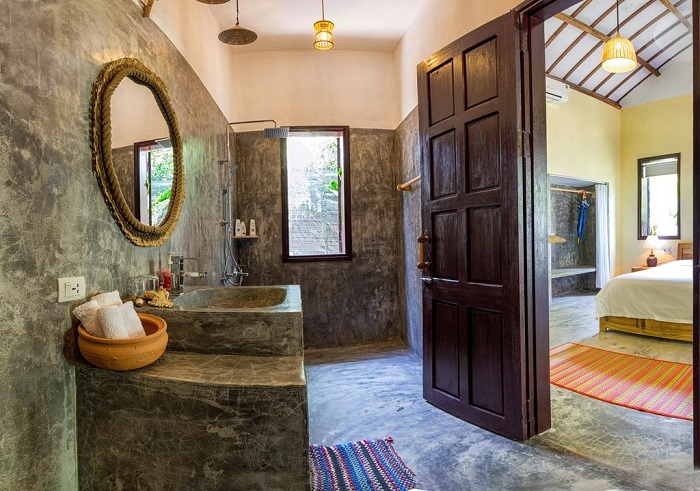 If you do not want to drive from Hoi An to An Bang everyday, you can rent one of these beautiful homestays. 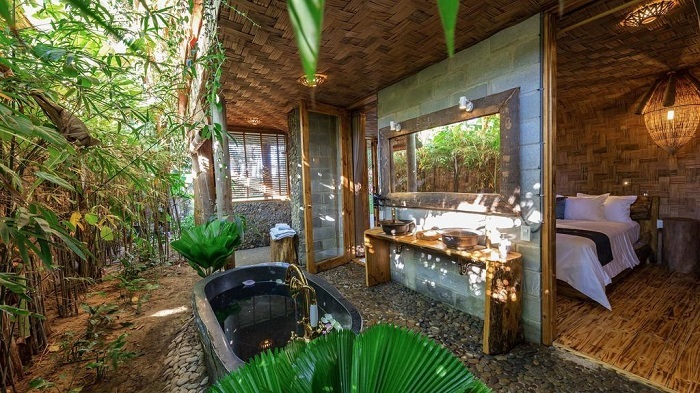 Of course, the price of these homestays is not cheap, from 2 million to 3 million per night but the real accommodation and quality of service is like the five-star hotel. An Bàng Seaside Village: being one of the most impressive homestay in An Bang, An Bang seaside village is truly a great place to stop when you visit this paradise beach. Located on an extremely favorable location, facing the sea, the entrance is the starting gate of the residential area, An Bang Seaside Village is a lovely homestay with fresh colors, fresh and full of energy. Red Flower Cottage Homestay: impresses with visitors by the green garden where the owner is smartly set up tables and chairs to rest and drink tea. Rooms are well-equipped to help you relax. If you still wonder about which things to do near Hoi An, you should think about our recommendation. You won’t be upset with this beautiful beach. 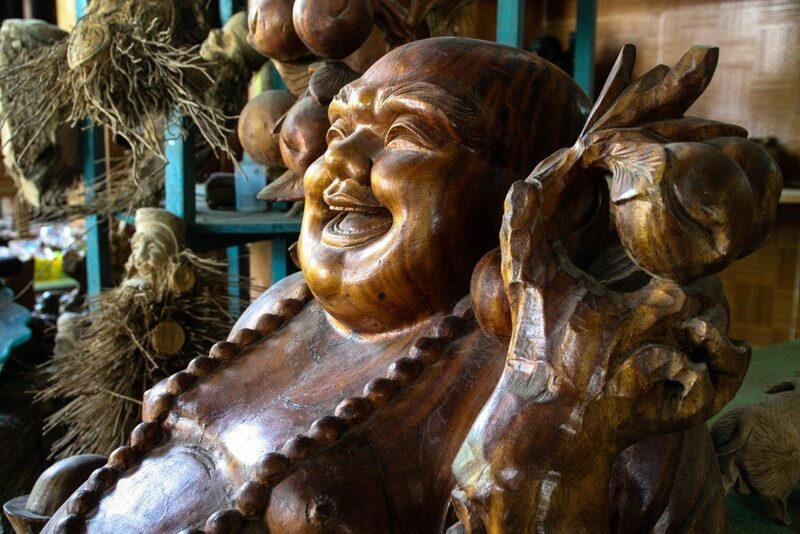 We will suggest you more in next article for Hoi An must do things. Let’s wait and see us!